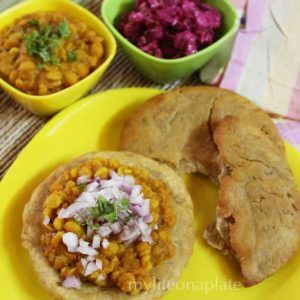 After the crazy indulgence in sweets and fried delicacies during Diwali, the stomach is crying out for something healthy for a change…. And what the body demands, the hands make! 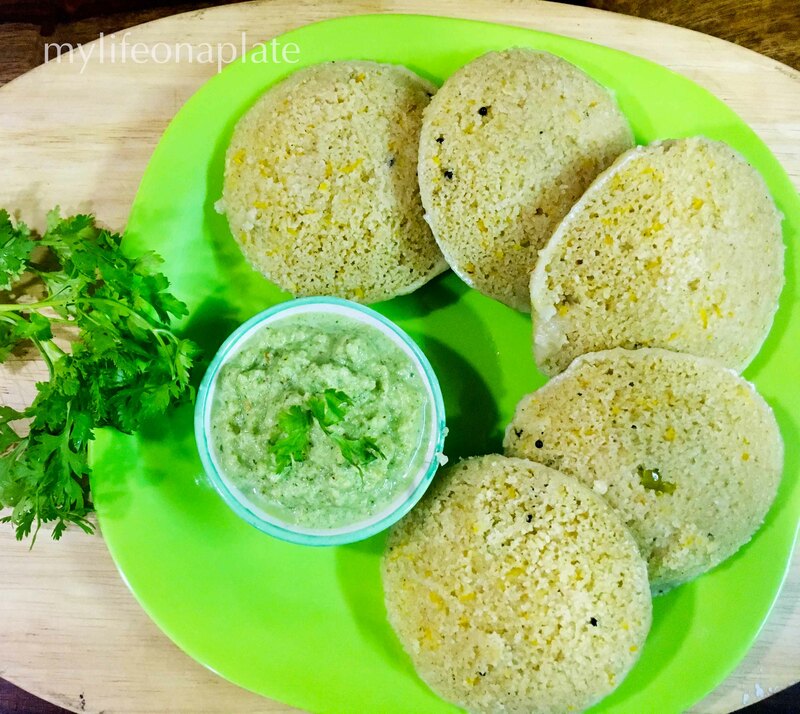 Try this sumptuously healthy breakfast tomorrow morning… what can be healthier than a combination of oats, rawa and carrot? 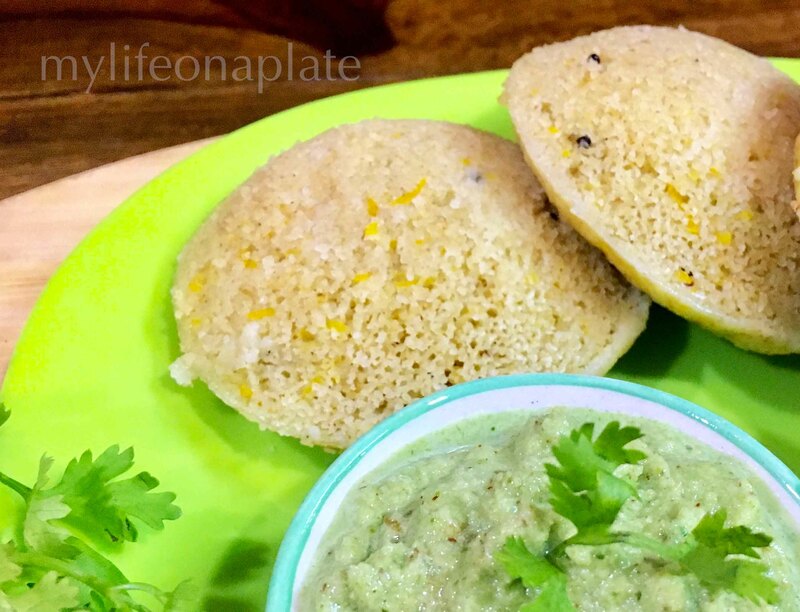 That too, all together in one of your favourite dishes… the humble idli! 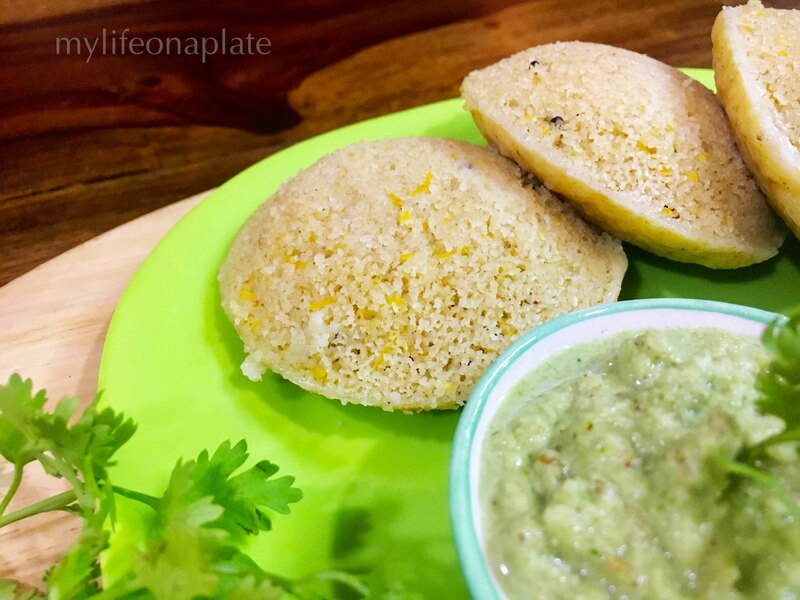 So here it is… The extremely easy and light…Oats Rawa Carrot Idli! 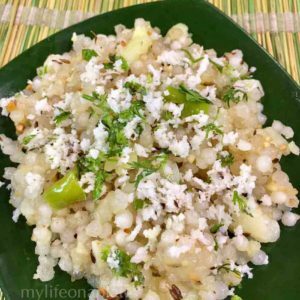 While it makes for the ideal breakfast, you can have it as an evening snack or an early dinner too. 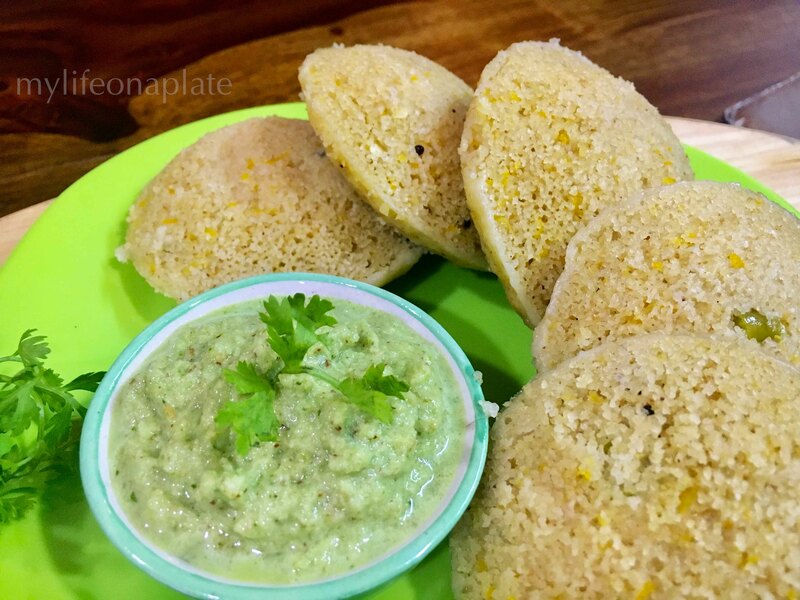 Serve it with the chutney of your choice, with or without sambhar. It can be eaten just by itself too, it is so yummy. Dry roast the oats and grind them to a powder in the mixie. 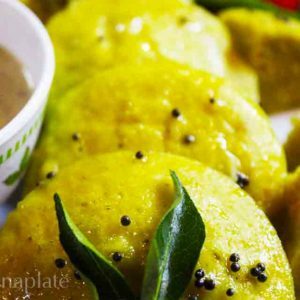 In a kadhai heat the oil, add the mustard seeds and hing. Mix in the rawa and roast. Add the powdered oats, dahi, carrot, ginger, green chillies, salt and mix well. Add water if required to make a thick batter and keep covered for 2 hours. After 2 hours, add the soda bicarb and wait for 5 minutes. 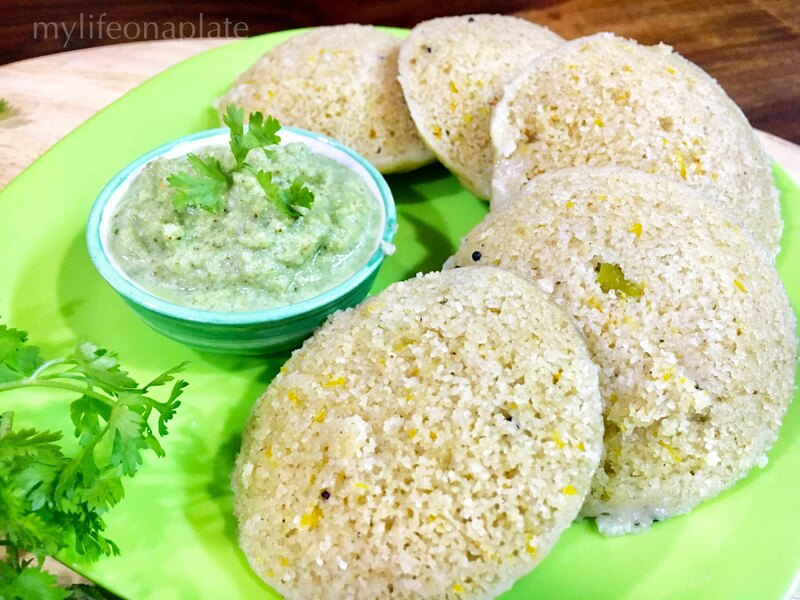 Add a little water if required to make an idli consistency batter. 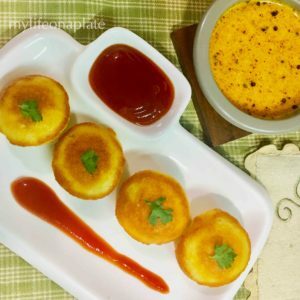 Grease an idli mould, fill in the batter and steam in a cooker without whistle for 20 minutes. 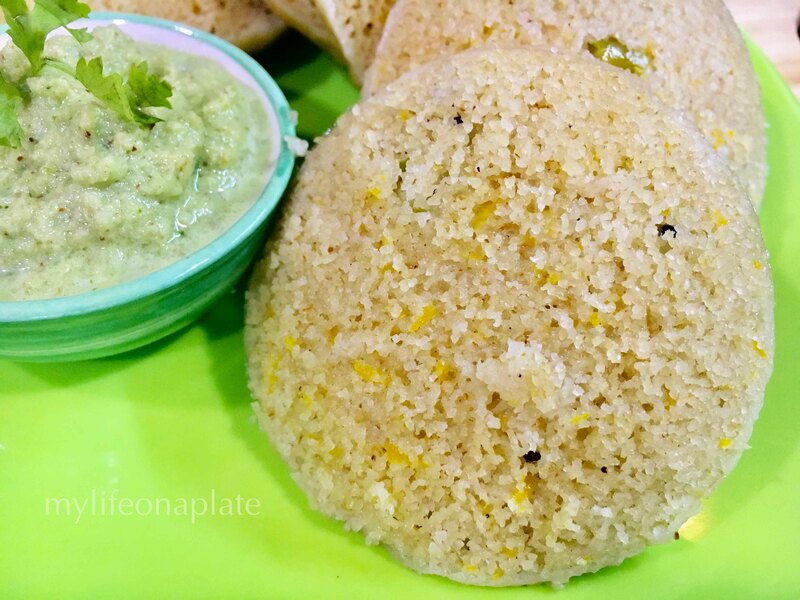 Switch off gas, remove the idli mould and let it settle for 5 minutes. 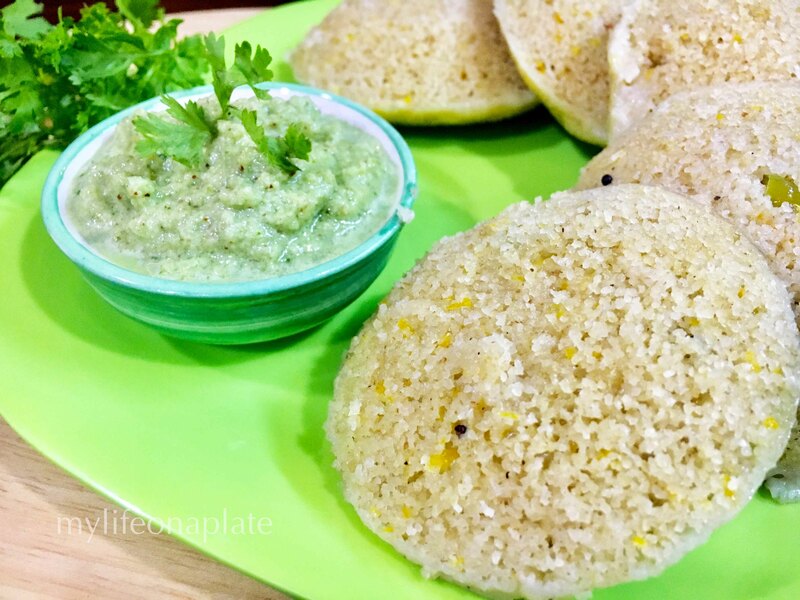 Remove the idlis from the mould and enjoy the soft, fluffy, healthy idlis with the chutney of your choice.